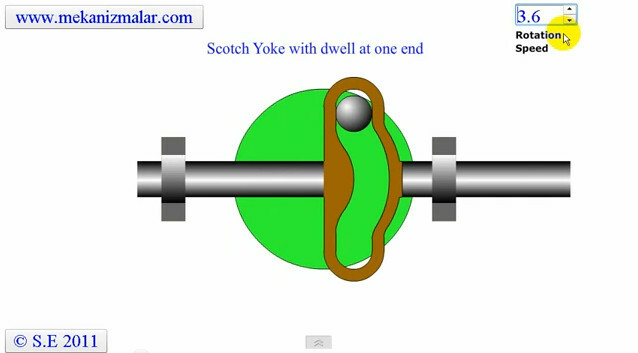 How a Scotch Yoke with dwell at one end works? Hello, thanks for the presentations. If I may ask, what software are you using to make them??? I'm kinda tired of powerpoint. Hi Prem. I use Adobe Flash for my animations.